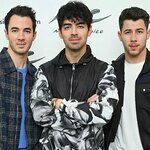 Boy band The Jonas Brothers have partnered with Bayer Diabetes Care to encourage young diabetes sufferers to manage their condition. The brothers – Nick (who has diabetes), Kevin, and Joe – launched the partnership in conjunction with their Change for the Children Foundation, a charity they established to support programs that motivate and inspire children facing adversity. Their new single – A Little Bit Longer – is also spreading awareness of the condition. Bayer kicked off the partnership on Wednesday, with a large donation to the Change for the Children Foundation, and will provide resources and information over the next three years specifically designed for young people with diabetes to help them simplify their lives and successfully manage their disease. As part of the partnership, diabetes sufferers and their families can log on to www.NicksSimpleWins.com, where they can check out more about Nick’s personal experiences with the condition. The site has been set up so Nick can blog about his latest activities, and will also give updates on chances to meet him in person and share ideas on how to manage diabetes.